Known as the Summer Capital of the British in Southern India, Munnar is a place which is not just beautiful but also serene and offers tranquility. Some consider it as a Haven and ideal for vacations. At an altitude of 6000 feet from Idukki district, Munnar is deemed as the best summer spot for all. The vast tea plantation, the mesmerizing valleys and extreme beauty of flora and fauna would keep you stunned. The road distance between Bangalore and Munnar is 523 km. You can also fly from Bangalore which marks the distance of 328 km. 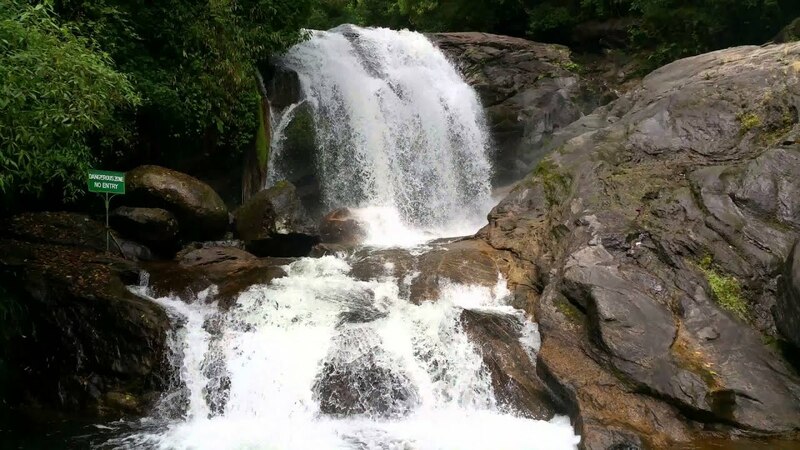 Occupying its place among the top four waterfall in Munnar, Attukal waterfall is a very popular destination for all the adventure seekers. It is recommended that you visit the place during monsoon. The waterfalls witness a plethora of tourist every year and are one of the most beautiful waterfalls which are beautifully majestic. Nestled amidst the beauty of hills in Munnar, the Pothamedu viewpoint is surrounded by the lush green view. A panoramic vista of the surrounding valley, the viewpoint would mesmerize you with the scenic beauty and is the wonderful spot for trekking. Several shows are held at the museum and if you are lucky to visit during the same, then you would find a plethora of things to cherish. It reveals the history of the tea plantation, the hard work of the farmers who catered to the need of planting and also the process of cultivation and drying and placing tea in a short documentary. The place has typewriters, hand tea roller, iron oven, manual calculator and much more. The mesmerizing view of the surrounding that keeps you hooked for long is what defines the beauty of a place. A short trek that can be done in a day, the place is best for trekking, which covers an area of around 10 km. The fresh air of the atmosphere once you reach the top is something you cannot miss. Early morning treks call for the view of wonderful sunrise and hence is one of the best places to visit in Munnar. The park houses the endangered Nilgiris Tahr that covers an area of 97 km. The park is situated in Devikulam Taluk of the Idukki district. Post the Nilgiris Tahr, the wonderful Neelakurinji flowers hail the second major attraction of the park. You might be thinking what is the special thing about the flower, then do not miss its view as it blooms once in a year. If you are one of those who loves natural beauty, then this place is a must visit. Rise to the top station to have a view of the mirror-like lake which is simply a 20 km drive. 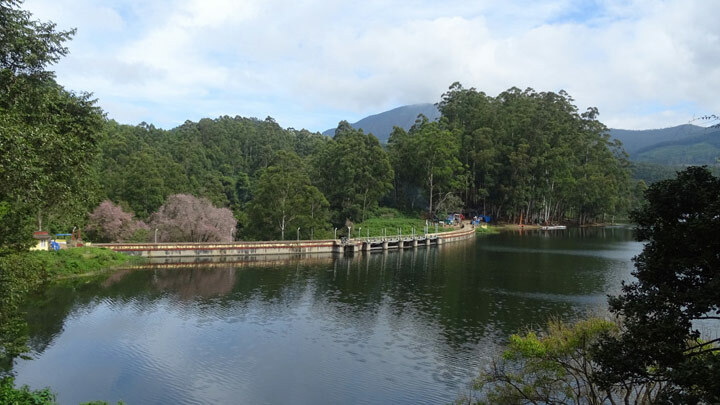 The mind-boggling of the hill slopes, the unmatched beauty of the blossoms of the cherry garden and the envelope of the beautiful Neelakurinji flowers makes the lake one of the most visited places in Munnar. 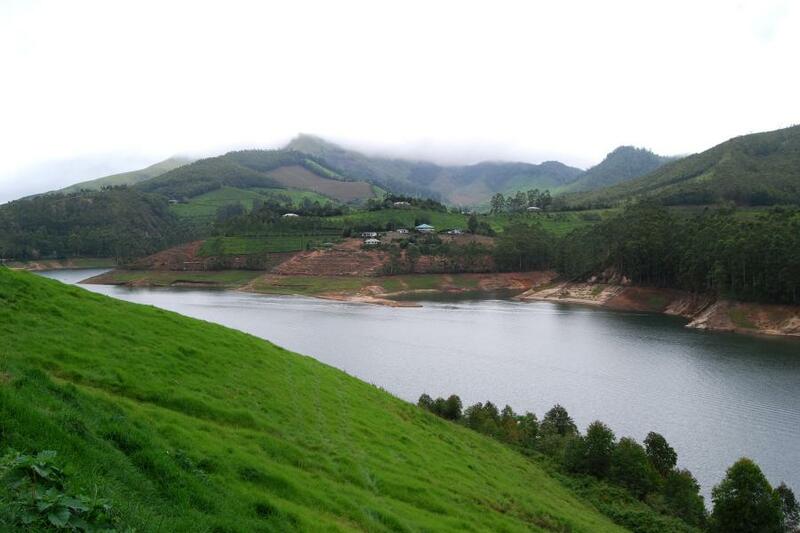 Offering a plethora of activities such as boating, rafting and above all enjoying the scenic view, Kundala lake is the famous tourist attraction in Munnar. A vivid picturesque of the mesmerizing landscape, a refreshing blue layered hill is one of the best places to visit in Munnar. The wide panorama of the tea slopes, the cotton mist, and the wonderful skyline is undoubtedly the best place if you are looking for a serene and calm place to spend some time alone. The name as given because of the fact that the place witnesses two mountain separated with a shape of hearing. At a distance of around 13km from the town of Munnar, the dam is one of the most visited spots by various tourists during the weekend. With a blanket of sloppy tea gardens along with an emerald misty lake in between, the beautiful place is decked up with Anamudi Peak. The lake houses boating activities that drive the attention of several tourists. A place for all the photo freaks, photo point is at a distance of 3km and all you need to do is to drive amidst the plains, the tea slopes, and step out of your car to have a look at the image clicked. The flaunting tea leaves, the scenic view of the hills and bloating clouds all captivate the minds of the tourist and is one of the favorite spots. The thrill is at its pela at the amusement park in Munnar. A plethora of activities such as Zipline, Waterfall, Charlie Chaplin walk and the dashing cars all under the same place. Nothing goes less here, be it the rain dance or the adventurous activities of trekking, the park has all. A wonderful experience to stay covered by bamboo, tree house accommodation is a must to do. A paradise for all the adventure lovers, if you visit Munnar than, your trip is incomplete without a camp or a trek. Be it the echo point or the top station, sneak out a day to trek along the trail. All the daring enthusiast opt for exploring the wildlife sanctuary to trace the rare animals and birds. Pack your bags and head toward one of the national parks to find one. The mesmerizing tea estate of the place calls for biking amidst their sloppy hills. Munnar is all about waterfalls, the waters dripping from great heights from a pool and staying beside could be the best experience. Adventure is at the peak in Munnar. The wide landscape invites tourist to indulge in rappelling and rock climbing. The Kundala lake has unmatched beauty and the chance to opt for a ride on the lake is a must do. The Mattupetty dam is one of the most loved places for picnic and sports activities. Several speedboats and paddle boats enhance the glory of your adventure. Indulge in the elephant Safari amidst the rocky hills of Munnar to have a wonderful day at the national park. The place is a hill station has a moderate temperature throughout the year. However, September to may is considered to be the best time to visit. Summer is a little warm but still, people can visit the place. Moreover, monsoon experiences heavy rainfall leading to water clogs and can hamper your trip, so the period between July and August should be avoided. Several service’s plies to tour people from cities like Bangalore, Chennai, Mysore to reach Munnar via bus. Major cities are connected to Kochi via the largest station of South named Ernakulam. One can travel to the station to visit Munnar. 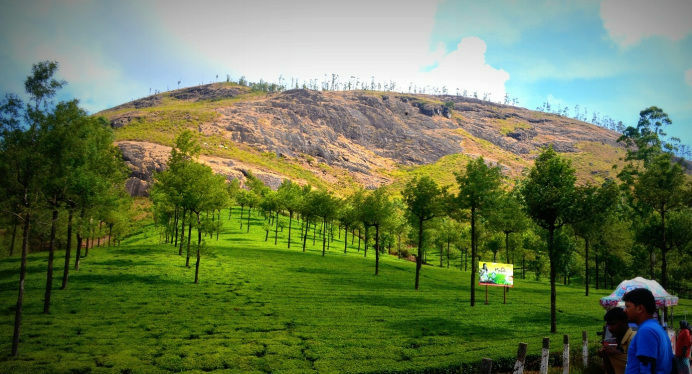 Munnar has connectivity to several states of Tamil Nadu which have public transport facilities to reach Munnar. The nearest airport to Munnar is Cochin international at a distance of around 125 km, one can fly to the same in order to visit Munnar. The shrine of southern beauty, Munnar ranks high in the list of places to visit in Southern India. Not just because it is a hill station but also due to a plethora of attractions and activities that drives the tourist crazy. The place has the largest tea plantation, several lakes, national parks and various mountains that would keep you amazed by its scenic view. So, plan your next vacation and get thrilled by the wonders of Munnar.